Designed to give aspiring talent a chance to make it in the big bad world of eSports, UK tournament organisers Gfinity have released new information on their upcoming Challenger Series. Open to “gamers of all levels and aspirations”, this new tournament series should help give lesser known players a shot at the big time. If competitive gaming is your thing, try out these other great PC multiplayer games. As an open gaming series, the Gfinity Challenger Series has players rising up a giant leaderboard, by competing in competitive matches to earn G-Points. By gaining enough G-Points and rising up the ranks, players will then earn a place in the Gfinity Elite Draft. From there, the top ranked Challenger Series players will then be drafted by a selection of eight pro teams to compete in the Gfinity Elite Series, held at London’s Gfinity Arena. If Challenger Series players perform well there, it could be the jumpstart you need to start a proper career as a professional eSports player. 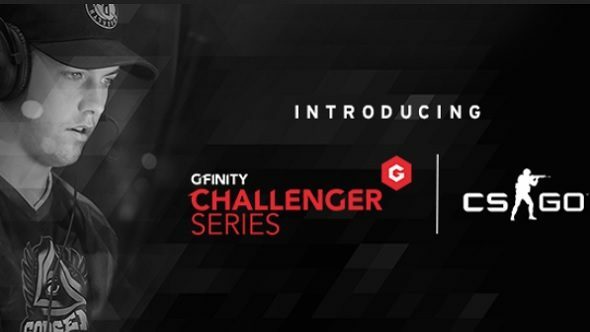 So far, CS:GO has been confirmed as the first game in the Challenger Series, with Gfinity set to announce two other games in the coming weeks. With there being a draft phase as part of a player’s progression to the Elite Series, it is fair to assume that the other two games will also be team games, like League of Legends or Overwatch. If you are interested in trying to get signed to a pro team, or just want to play in a series with other high level players, you can sign up over on the Gfinity website. The first Challenger Series Community Cup for CS:GO is on March 27 so gather a team together and get practicing.